N.H. Statehouse safe finally gets cracked open. Click play to listen to the audio version of this story. Reporters, lawmakers and staffers all gathered Monday morning in room 103, normally used by the Senate Finance committee, to watch a local locksmith crack the code of the massive safe. The room's accessible only by a skinny spiral staircase, and it sits above a second, newer safe, that's often wide open for anyone who wants to see its contents. State lawmakers, especially the House Speaker Shawn Jasper and his chief of staff, had been for years yearning to know what was in its upstairs neighbor. On Monday they finally got their chance, even though, after all the hype, the opening did leave a little to be desired. 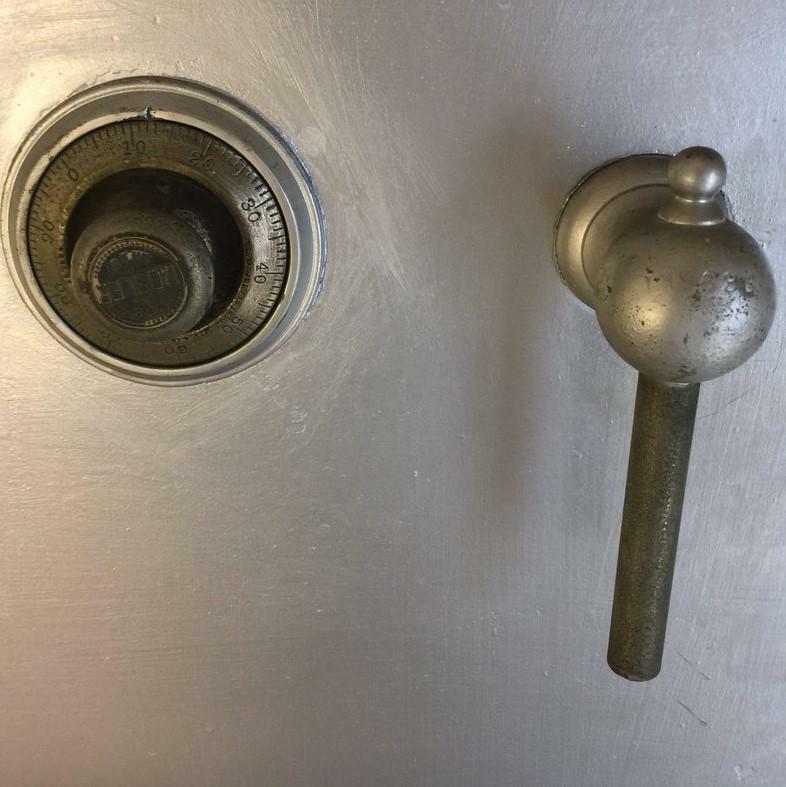 Apparently, the locksmith already opened the safe earlier this month to make sure the lock could be picked in front of cameras and microphones. And when Speaker Jasper and chief of staff Terry Pfaff finally opened not just one, but two safe doors, they found that someone had been beaten them to the punch. 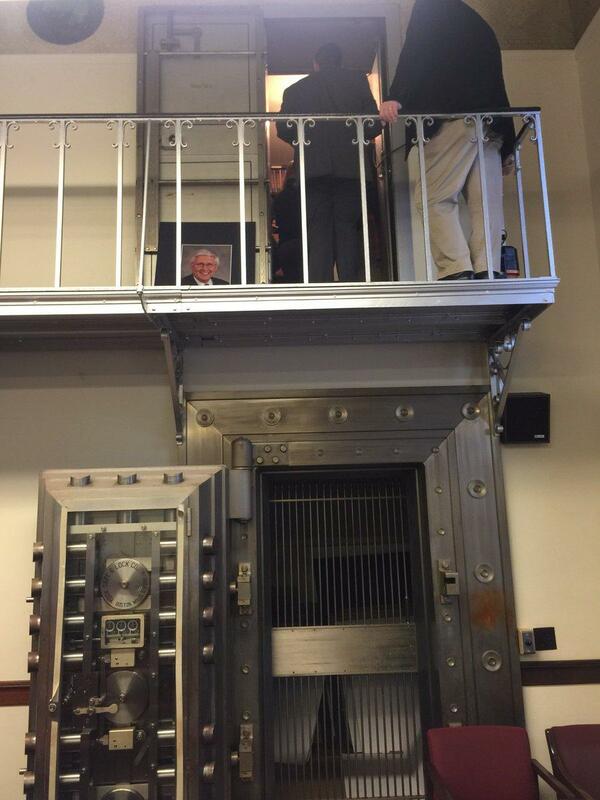 There to greet them inside the safe was a large (and seemingly recent) picture of the Senate President Chuck Morse. That photo of Chuck Morse means someone beat Jasper to the punch. But none of this killed their spirit. Pfaff said it was "exciting" to finally see what was inside, and Morse said he expected the safe to be empty. It appears the safe was used by the state treasurer's office at least 200 years ago. There are stacks of old ledgers, reports and other documents, including Civil War and highway bonds. There are also old posters, possibly designed to help promote tourism.